CGFA releases State revenue numbers for September 2018. The Commission on Budget Forecasting and Accountability (CGFA) is the nonpartisan budget-forecasting arm of the Illinois General Assembly. Working with the Department of Revenue and other State revenue collectors, this office monitors the State’s cash flow and determines its balance with the State’s spending patterns and budgeted expenditures. CGFA’s report on state revenues in September 2018 was published on Tuesday, October 2. In September 2018, Illinois continued to enjoy healthy revenue numbers, driven by almost 6.1 million non-farm payroll jobs maintained by Illinois employers in FY18. Weekly employee paycheck earnings, on which state income taxes are paid, rose by 2.3% over the course of FY18. September 2018 State personal income tax payments totaled more than $1.8 billion, up $218 million from September 2017. This jump in September personal income tax receipts made up well more than half of the overall $240 million increase in general funds tax receipts and transfers-in during September 2018 as opposed to September 2017. Corporate and sales tax receipts also increased significantly. Other key revenue sources, led by cigarette taxes, liquor taxes, Lottery revenues, and riverboat receipts taxes, were flat-to-down, and there was a sharp drop in overall Federal aid for the month as compared to the year-earlier period. 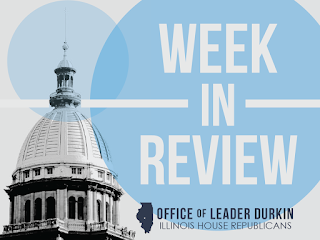 September 2017 had seen a temporary spike in federal Medicaid reimbursements to Illinois, a cash-flow number that could not be replicated in September 2018. Illinois K-12 High-Speed Internet Connectivity Rises to 96%. It was announced this week that 96 percent of K-12 school districts in Illinois can access the internet at speeds of 100 kbps per student, a substantial improvement from 71 percent just three years ago. Median bandwidths also have markedly improved, increasing 2.5 times since 2015. Illinois’ digital advances were reported by the EducationSuperHighway which tracks progress toward K-12 connectivity across the United States. The national nonprofit advocates for upgrading internet access in every public school classroom in America. Illinois State Fire Marshal wants you to have a Fire Free Fall. Fall is officially here and so are cooler temperatures. The Office of the State Fire Marshal is offering a few tips that will help Illinoisans stay safe as temperatures continue to drop. This Fall, be sure to remove leaves and debris such as sticks, branches and shrubs from the roofs and gutters of homes as they act as fuel to a fire. These items should also be cleared before lighting a bonfire. It is recommended that all recreational fires, such as bonfires, be contained in a pit, with sidewalls, and do not exceed 3 feet wide and 2 feet tall. Avoid burning leaves and debris on windy days, as wind can cause a fire to get out of control quickly. Always follow your local ordinances when burning and disposing of yard waste and remember, embers from burning leaves can spread and start a larger fire. All fires are recommended to be a minimum of 15 feet from structures and combustible materials and should remain attended at all times. This helps ensure the fire is controlled and prevents it from spreading. Make sure all Fall and holiday decorations are flame retardant and use a battery light instead of a candle in jack o' lanterns. Anyone opting to use a space heater to keep warm should be sure it is placed at least three feet away from other objects, such as curtains, and always be sure to unplug it when it's not in use. According to the National Fire Protection Association (NFPA) space heaters account, annually, for 43 percent of U.S. home heating fires. All fireplaces should be cleaned and inspected before use to ensure everything is in proper working order. Utilize a fireplace screen to keep sparks from floating out of a fireplace and always put out a fire before going to bed or leaving the house. Additional fire safety tips can be found on the NFPA website or on the Office of the State Fire Marshal website. 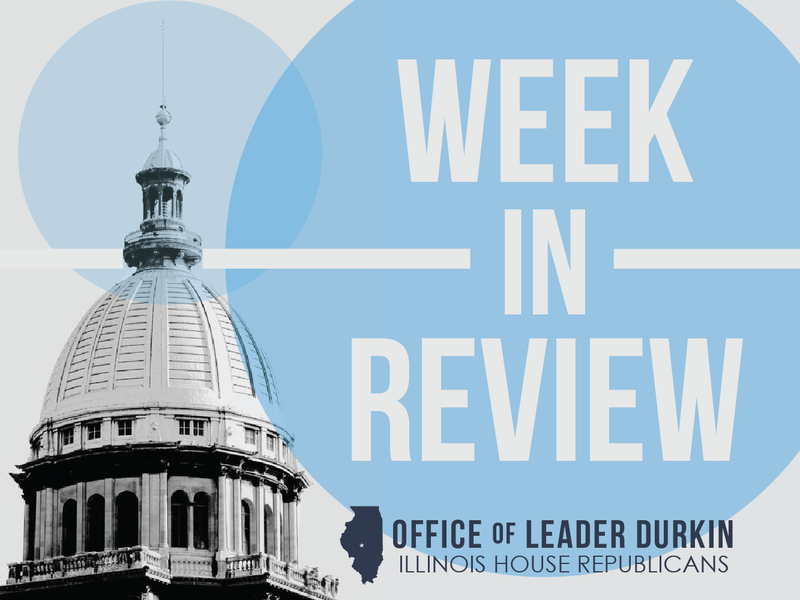 Illinois House prepares for hearing; CGFA wagering report for 2018. The report from the Commission on Government Forecasting and Accountability (CGFA) shows economic and technological trends exerting disparate impacts on different facets of Illinois gambling and wagering. “Video poker” machines in Illinois taverns and storefronts are doing well; revenues from non-electronic gaming activities, including live horse racing and sales of paper lottery tickets, continue to stagnate. The COGFA report, which covers overall Illinois gambling activities and State tax revenues in fiscal year 2018 (ended June 30, 2018), was published on Tuesday, October 2. These trends will be discussed at the Illinois House’s joint Gaming Subcommittee hearing on gambling issues to be held in Springfield on October 17. Advocates for high-tech gambling expansion moves, including Internet gaming and online sports betting, will be given a chance to make a case for legalization of expanded Illinois gambling opportunities and tax revenues. Governor proclaims October Manufacturing Month in Illinois. Recognizing the importance of an industry that employs more than a half million workers in the state, Gov. Bruce Rauner has proclaimed October Manufacturing Month in Illinois. Manufacturing Month events will take place throughout October in Illinois. These events showcase some of the nearly 13,000 manufacturing firms that call Illinois home. October is a time to highlight the benefits of working in the industry and continue to build a talent pipeline that guarantees Illinois remains a leader in manufacturing for years to come. Manufacturing Day will be celebrated nationwide on the first Friday of the month, Oct. 5. Illinois companies manufacture a wide range of products including farm equipment and machinery, automotive parts, plastics, pharmaceuticals, biofuels and food products. Manufacturing is the third largest industry in Illinois by employment with more than 580,000 workers. Illinois is the fourth largest manufacturing state in the nation by output. Manufacturing makes up 93.6 percent of all Illinois goods exported. Average annual income for Illinois manufacturing workers is $70,174. Partners join to set up Illinois safe-disposal pathways. Illinois patients sometimes face headaches in the disposal of unneeded opioid painkillers. These medications, although they are an essential part of medical treatment in situations such as post-operative pain, should not be left to hang around in a medicine cabinet. Five partners – Walgreens, Blue Cross/Blue Shield, Pfizer, Prime Therapeutics, and AmerisourceBergen – have joined with Illinois law enforcement to set up a series of widely distributed “Safe Medication Disposal” kiosks for safe disposal of unneeded prescription medications, including opioids. 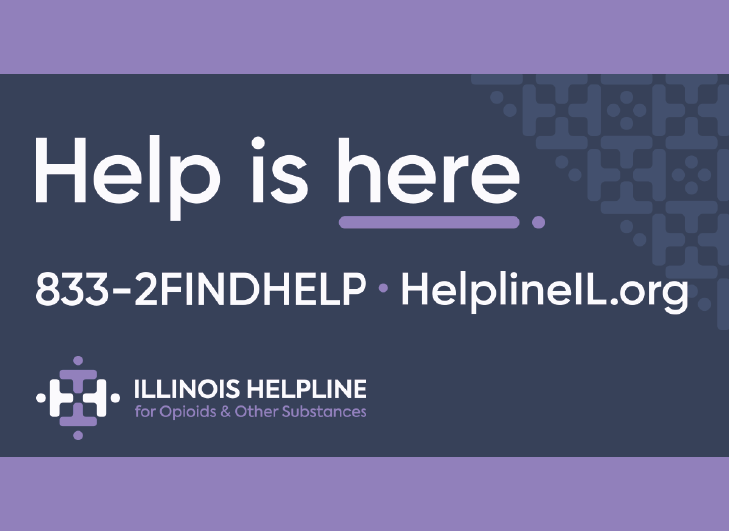 Eighty-two such kiosks have been set up in Illinois Walgreens drug stores, with additional disposal locations provided at major police headquarters lobbies throughout the state. No questions are asked, and medicines deposited in the kiosks are safely and promptly disposed of. Law enforcement, as well as several major firms that play key roles in Illinois health care, are happy to help get these drugs out of settings where they could wind up on the street. Illinois State Police Memorial Park dedicated. The memorial park, located adjacent to the State Police’s Springfield headquarters, will serve as a place of remembrance and memorial for the 67 members of the Illinois State Police who have lost their lives in the line of duty. Located only five blocks away from the historic home of Abraham Lincoln, the Memorial Park is a place of water and granite slabs. The names of Illinois’ fallen heroes are permanently engraved in this public place of remembrance. House Republican Leader Jim Durkin helped the Illinois State Police Heritage Foundation gather private-sector and non-tax funding to enable the construction of this place of remembrance, which had been in the planning stages since 2009. The memorial park, constructed at a cost of approximately $2.5 million, was dedicated by Gov. Bruce Rauner and State Police Director Leo P. Schmitz on Tuesday, October 2. Work begins on key infrastructure project to unsnarl Chicago rail traffic. Since the selection of Chicago in the 1800s to be the railroad hub of the United States, train tracks entering and leaving the Chicago metro area have crossed each other at ground level. This has created continual delays in rail transport – snarls that have come to threaten Chicago’s status as a hub for long-distance freight traffic. A long-term Chicago infrastructure project, “CREATE,” has planned a variety of moves to fix these snarls, including flyover bridges of the type familiar to drivers of motor vehicles, for Chicago-area railroad tracks. One of the most troublesome level crossings in the United States is a junction between railroad lines that cross 75thStreet on the South Side of Chicago. One-quarter of all of the railroad freight in the U.S. moves through this key railroad junction, and freight volumes at this stretch of track are expected to increase by 150% by the year 2040. Groundbreaking was held this week for the 75th Street Rail Improvement Project, a comprehensive rebuild of the railroad rights-of-way at this junction that will include a flyover bridge so two or more trains can smoothly share the junction at the same time. Approximately 100 trains move through this junction in an average 24-hour period. Other elements of the 75thStreet Corridor Improvement Project will build viaducts to separate road and rail traffic. Aware that speeding up and increasing the predictability of train traffic through this junction will create a long-term economic return of $3.8 billion, the U.S. Department of Transportation (USDOT) has contributed $132 million in federal aid to enable the project to be carried out. Thousands of construction jobs will be created by the project. The groundbreaking was celebrated by Gov. 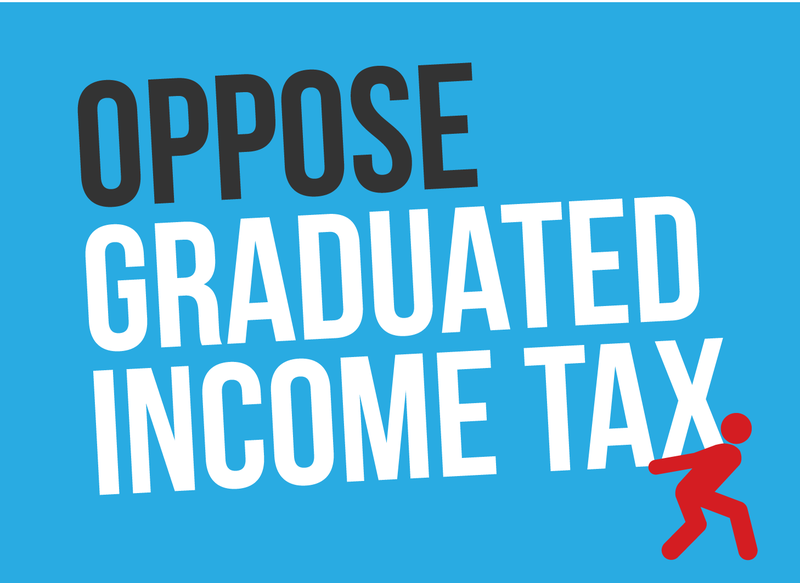 Rauner and local officials on Monday, October 1. Bicentennial observes 160th anniversary of Lincoln-Douglas debates. By the fall of 1858, Abraham Lincoln and Stephen A. Douglas had been longtime rivals in Illinois law and politics, with most of the honors going to Douglas. The tide began to change with the “Lincoln-Douglas Debates” of the fall campaign of 1858, in which Lincoln was able to force Douglas to clarify his positions on the red-hot issues of slavery and the “free soil” of U.S. territories. Cleverly answering Lincoln’s thrusts, Douglas was able to win re-election to the U.S. Senate that year and, one more time, defeat Lincoln. The positions Senator Douglas had been forced to take, however, antagonized the proslavery South and ensured he would never reach his lifelong ambition of achieving the White House. The Galesburg debate was hosted by Knox College, which has carefully preserved the brick building from which the two men spoke. Historical markers and a small museum mark the spot today. The Illinois Bicentennial Commission asks Illinoisans to remember the Lincoln-Douglas Debates as a high point of Illinois’ first century of history.